Marti H.-P., Jeffs A., Scherer A. *, Leader J., Leader C., Bedford J., Walker R. "Renal fibrosis mRNA classifier: Validation in experimental lithium-induced interstitial fibrosis in the rat kidney"
Eikrem O., Strauss P., Beisland C., Scherer A. *, Landolt L., Flatberg A., Leh S., Beisvag V., Hjelle K., Shresta A., Marti H.P. "Development and confiemation of potential gene classifiers of human clear cell renal carcinoma using next-generation sequencing (RNAseq)"
Eikrem O, Beisland C., Hjelle K., Flatberg A., Scherer A. *, Landolt L., Skogstrand T., Leh., Besivag V., Marti H.-P. "Transcriptome sequencing (RNAseq) enables utilization of formalin-fixed, paraffin-embedded biopsies with clear cell renal carcinoma for exploration of disease biology and biomarker development"
Finne K., Marti H.-P., Leh S., Skogstrand T., Vethe H., Tenstad O., Berven F.S., Scherer A. *, Vikse B.E. "Proteomic analysis of normal or minimally damaged renal tubular tissue demonstrates extensive changes in two-kidney-one-clip hypertensive rats"
Biomarker Research 2014; 2:17. PMID: 25285214. Clinical and Translational Medicine 2014; 3:36. DOI: 10.1186/s40169-014-0036z. Heidrun Vethe, Kenneth Finne, Trude Skogstrand, Marc Vaudel, Bjørn E. Vikse, Michael Hultström, Sandrine Placier, Andreas Scherer*, Olav Tenstad, Hans-Peter Marti. “Distinct protein signature of hypertension-induced damage in the renal proteome of the two-kidney, one-clip (2K1C) rat model." J Hypertens. 2015 Jan;33(1):126-35. doi: 10.1097/HJH.0000000000000370. Marti H-P, Fuscoe JC, Kwekel JC, Anagnostopoulou A, Scherer A. "Metzincins and Related Genes (MARGS) in Experimental Renal Aging: Towards a Unifying Fibrosis Classifier across Species." Nephrology Dialysis Transplantation 2014, gfu027. Borchers C, Kast J, Foster L, Siu M, Overall CM, Binkowski A, Hildebrand W, Scherer A*, Mansoor M, Keown P; for the Human Proteome Organization Chromosome 6 Consortium. The Human Proteome Organization Chromosome 6 Consortium: integrating chromosome-centric and biology/disease-driven strategies. Journal of Proteomics. 2014; 100: 60-67. Andreas Scherer (editorial). Clinical and Ethical Considerations of Massively Parallel Sequencing in Transplantation Science. World J Transpl. 2013, Dec;3(4):62-67. Staedtler F, Hartmann N, Letzkus M, Bongiovanni S, Scherer A*, Marc P, Johnson KJ, and Schumacher MM. Robust and tissue independent gender-specific transcript biomarkers. Andreas Scherer, Oliver Gunther, Robert Balshaw, Zsuzsanna Hollander, Janet McManus, Raymond Ng, W Robert McMaster, Bruce McManus, and Paul Keown. Alteration of the human gene expressioon profile in uremia. Jensen JM, Scherer A*, Wanke C, Brautigam M, Bongiovanni S, Letzkus M, Staedtler F, Kehren J, Zuehlsdorf M, Schwarz T, Weichenthal M, Folster-Holst R, Proksch E. Gene expression is differently affected by pimecrolimus and betamethasone in lesional skin of atopic dermatitis. Jens-Michael Jensen, Kerstin Ahrens, Josef Meingassner, Andreas Scherer*, Matthias Bräutigam, Anton Stütz, Thomas Schwarz, Regina Fölster-Holst, Jürgen Harder, Regine Gläser, Ehrhardt Proksch. Differential suppression of epidermal antimicrobial protein expression in atopic dermatitis and EFAD mice by pimecrolimus compared to corticosteroids. Roedder S, Scherer A*, Koerner M, Marti HP. A subset of metzincins and related genes constitutes a marker of human solid organ fibrosis. Shi L, Campbell G, Jones WD,..., Scherer A,...,Wolfinger R. The MAQC-II Project: A comprehensive study of common practices for the development and validation of microarray-based predictive models. J. Luo, M. Schumacher, A. Scherer, D. Sanoudou, D. Megherbi, T. Davison, T. Shi, W. Tong, L. Shi, H. Hong, C. Zhao, F. Elloumi, W. Shi, R. Thomas, S. Lin, G. Tillinghast, G. Liu, Y. Zhou, D. herman, Y. Li, Y. deng, H. Fang, M. Woods, P. Bushel, M. Woods, J. Zhang. A Comparison of Batch Effect Removal Methods for Enhancement of Cross-Batch Prediction Performance Using MAQC-II Microarray Gene Expression Data. The Pharmacogenomics Journal, 2010;10:247-257. S. Roedder, A. Scherer*, M. Koerner, U. Eisenberger, A. Hertig, F. Raulf, E. Rondeau, H-P. Marti . Meta-Analyses Qualify Metzincins and Related Genes as Acute Rejection Markers in Renal Transplant Patients. American Journal of Transplantation 2009;10:296-297. Oliver P. Günther, Robert F. Balshaw, Andreas Scherer*, Zsuzsanna Hollander, Alice Mui, Tim Triche, Gabriela Cohen Freue, Guiyun Li, Raymond Ng, Janet Wilson-McManus, W. Robert McMaster, Bruce M. McManus, Paul A. Keown. Functional Genomic Analysis of Peripheral Blood During Early Acute Renal Allograft Rejection. A. Scherer, W. Gwinner, M. Mengel, T. Kirsch, F. Raulf, N. Hartmann, F. Staedtler, G. Engel, J. Klupp, A. Korn, J. Kehren, H. Haller. Transcriptome Changes in Renal Allograft Protocol Biopsies at Three Months Precede the Onset of Interstitial Fibrosis/Tubular Atrophy (IF/TA) at Six Months. Nephrology Dialysis Transplantation (NDT) 2009:24:2567-2575. S. Rödder, A. Scherer*, F. Raulf, C.C. Berthier, A. Hertig, E. Rondeau, H.-P. Marti. Renal Allografts with IF/TA Display Distinct Expression Profiles of Metzincins and Related Genes. Cohen Freue GV, Hollander Z, Shen E, Zamar RH, Balshaw R, Scherer A*, McManus B, Keown P, McMaster WR, Ng RT. MDQC: a new quality assessment method for microarrays based on quality control reports. Andreas Scherer, Manhong Dai, Fan Meng. Impact of Experimental Noise and Annotation Imprecision in Data Quality in Microarray Experiments. In: "Statistical Methods for Microarray Data Analysis", pages 155 – 176. Editors: Andrei Y. Yakovlev, Lev Klebanov, Daniel Gaile. David Lin, Andreas Scherer*, Raymond Ng, Robert Balshaw, Shawna Flynn, Paul Keown, Rob McMaster, Bruce McManus. Clinical Validation and Biomarkers Translation. 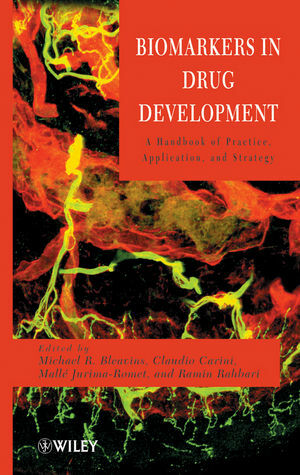 In ”Biomarkers in Drug Development: A Handbook of Practice, Application, and Strategy”, Editors: MR Bleavins, C Carini, M Jurima-Romet, and R Rahbari. Andreas Scherer. Variation, Variability, Batches and Bias in Microarray Experiments: An Introduction. Martin Schumacher, Frank Staedtler, Wendell Jones, and Andreas Scherer. Aspects of Technical Bias. Lev Klebanov and Andreas Scherer. 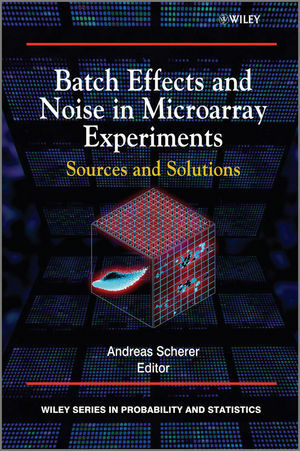 Toward Integration of Biological Noise: Aggregation Effect in Microarray Data Analysis. Gabriella Rustici, Andreas Scherer, and John Quackenbush. Data, Analysis, and Standardization. S. Roedder, A. Scherer*, M. Koerner, and H.-P. Marti. Successful cross-organ classification of fibrosis based on microarray meta-analysis applying a classifier model of renal transplant IF/TA. O.P. Guenther, A. Scherer*, D. Lin,..., and P.A. Keown. Classification of acute renal rejecion with proteogenomic ensemble classifiers. S. Roedder, A. Scherer*, and H.-P. Marti. Expression Signatures of Extracellular Matrix Related Transcript Sets Linked Renal Allograft Interstitial Fibrosis/Tubular Atrophy with Acute T-cell mediated Rejection. Oral presentation; 1st International Conference on Transplantomics and Biomarkers in Organ Transplantation; San Francisco, Feb 24-26, 2010. S Roedder, A Scherer*, F Raulf, C Berthier, A Hertig, E Rondeau, HP Marti. Renal Allografts with Non- Specified Chronic Dysfunction are Characterized by Distinct Expression Profiles of Metzincins and Related Genes International Society of Nephrology (ISN). Poster.